A major snowstorm is looking more likely for the Philadelphia region and the rest of the Northeast Corridor this week. The National Weather Service's Philadelphia/Mt. Holly office said Sunday area residents should expect cold weather, strong winds and "significant snowfall," beginning Monday evening and last until Wednesday. The agency upgraded the region's status to "Winter Storm Warning" on Sunday afternoon, increasing its confidence in the forecast. The latest update, provided at 5 p.m. Sunday, said the warning will remain in effect from 8 p.m. Monday to 4 p.m. Tuesday. 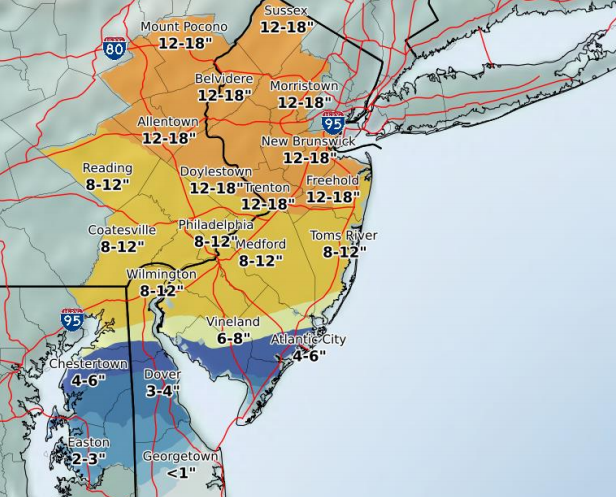 According to the most likely projections, a Nor’easter will drop between eight and 12 inches of snow in Philly and its surrounding suburbs. The snow is expected to begin around 8 p.m. on Monday. Most areas saw snow projections hold steady, including in Northeast Pennsylvania and North Jersey where snowfall could reach up to 18 inches. The latest forecast doubled the expected snowfall along the Jersey Shore to eight to 12 inches from four to six inches. While the heaviest snow is expected to arrive Monday evening, precipitation is expected to end Wednesday by 8 a.m. Some locations might experience a lull or wintry mix sometime on Tuesday, potentially limiting total snowfall amounts. Meteorologists also released projections based on best-case and worst-case scenarios. 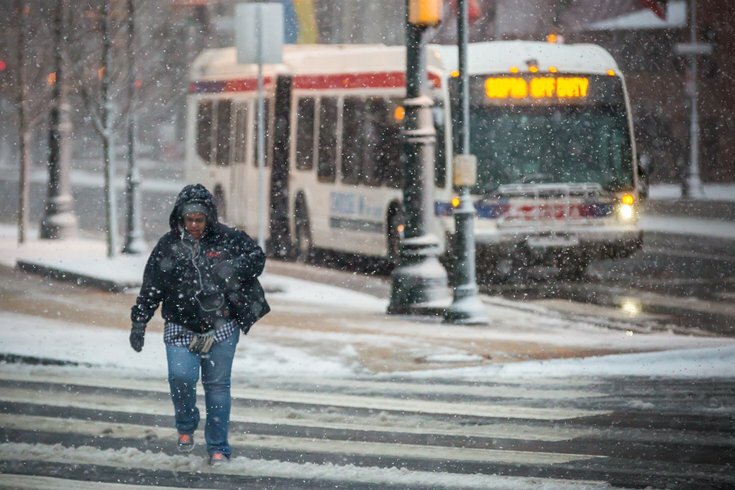 In and around Philly, the forecast currently calls for at least three inches of snow and a maximum of 19 inches. As for the wind, the service projects a "medium" chance of 40 to 50 mph gusts during the storm.